Romance: Capella Ixtapa was designed for it. The rooms, the lighting, the restaurants, even the smells are all orchestrated to help you fill your stay with sweet, intimate moments. This place oozes with it… in a good way! Views: The hotel doesn’t have a beach. But, what it lacks in sand, it more than makes up for in wow-factor. Built in tiers on an ocean-side cliff, Capella’s 5 “towers” are connected by stairways and vernaculars. The door to your room opens onto a private terrace with sweeping views of the ocean and little rocky islands. Beautiful bougainvilleas and colorful birds frame the view. You won’t be able to resist the urge to snap pictures and they will most certainly be inadequate to describe the views to your friends back home. Plunge Pool: Speaking of your private terrace, all 59 suites are outfitted with a private plunge pool to help you soak up those views and the sun. The pools in the lower room categories are under shade and have smaller surrounding terraces. If your searching for sun, book a room at a higher category. Food: Despite its small size, Capella offers great dining variety and, most importantly, quality. Breakfast and lunch are served in Las Rocas Restaurant located conveniently next to the infinity pool. Dinner can be enjoyed in the air-conditioned A Mares Restaurant (my personal favorite) or in the open air seafood grill tucked away under the pool with great close-up views of the waves crashing on rocks below. You need at least 3 nights at A Mares alone to feel like you’re getting a taste of the full spread of menu options! Head to Terrace Bar for after dinner drinks and off the cuff entertainment and magic tricks from the bar tender. Price: With a hotel as special as this, you would expect to pay a pretty penny (or peso), but that’s not the case at all! Capella is running some great promotions with 3rd or 4th night free and, by booking through me, you’ll receive added value with Virtuoso Amenities which include complimentary continental breakfast daily, complimentary dinner for two, and room upgrade on arrival (subject to availability). 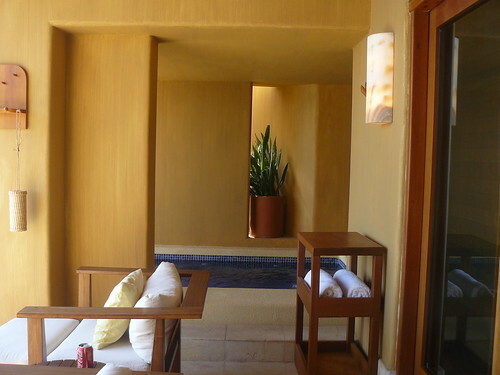 Bonus reason: Capella, Ixtapa is located only 1.5 miles from Playa Linda. The hotel provides guests with bikes free of charge and there is a paved bike path the whole way there (be careful! It is downhill there and uphill back!) 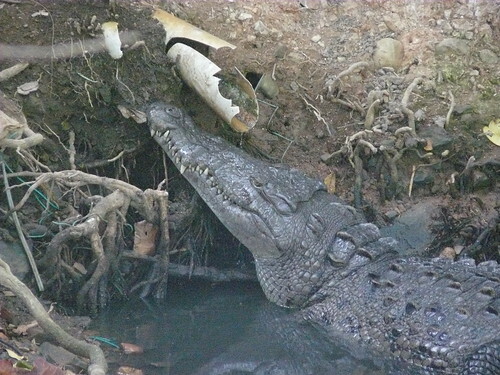 You’ll pass a crocodile habitat and see nesting spoon bills along your ride! If you’re really looking for adventure, schedule an excursion that includes an 8 mile bike ride (round trip) through the ecological park and kayaking and snorkeling around Ixtapa Island. See more pictures from my trip on my Flickr page. 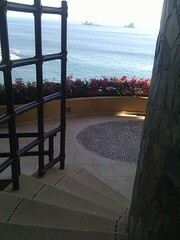 This entry was posted in Hotel Reviews and tagged Capella, Ixtapa, Mexico. Bookmark the permalink.